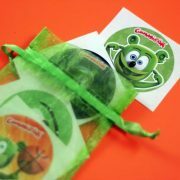 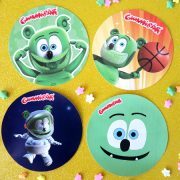 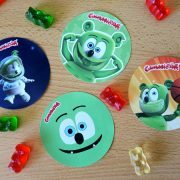 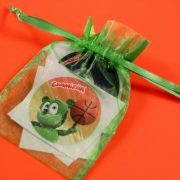 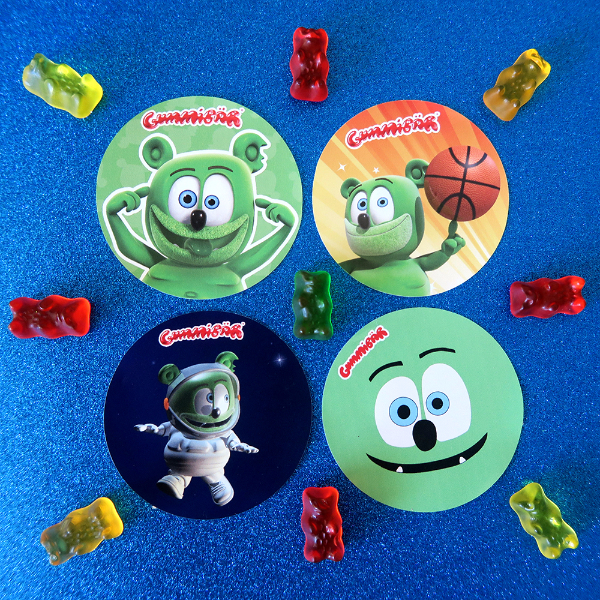 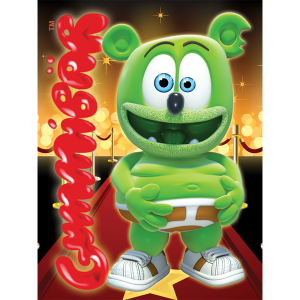 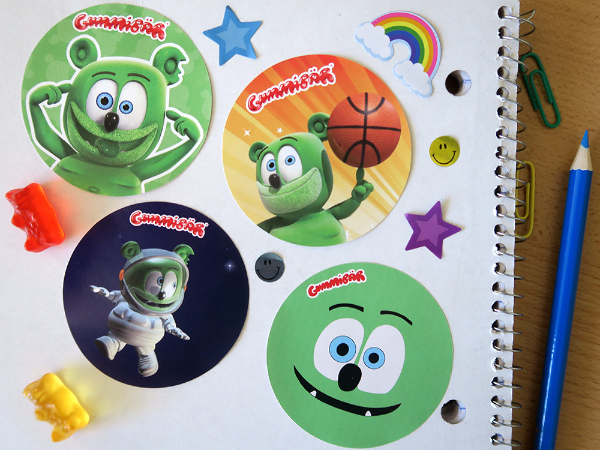 Fun, colorful Gummibär Sticker Sets are here! 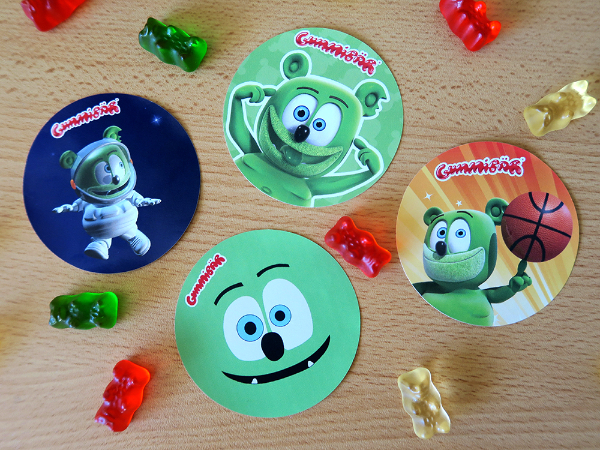 The Gummibär Sticker Set is now available in the shop! 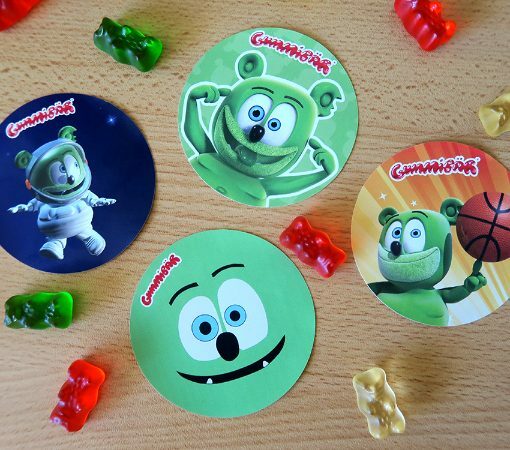 Get all your favorite Gummibär stickers in one set! 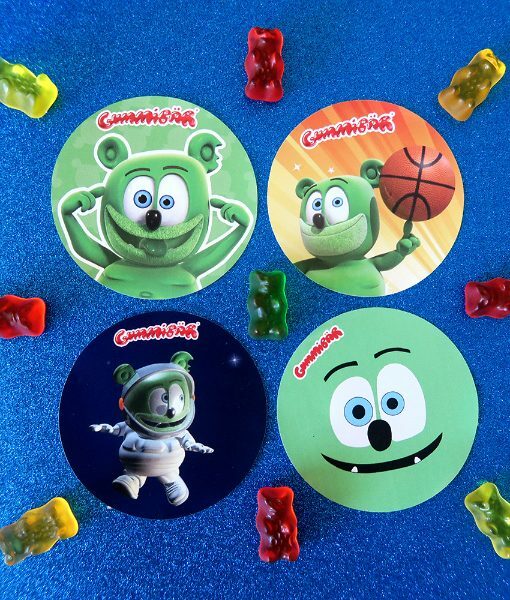 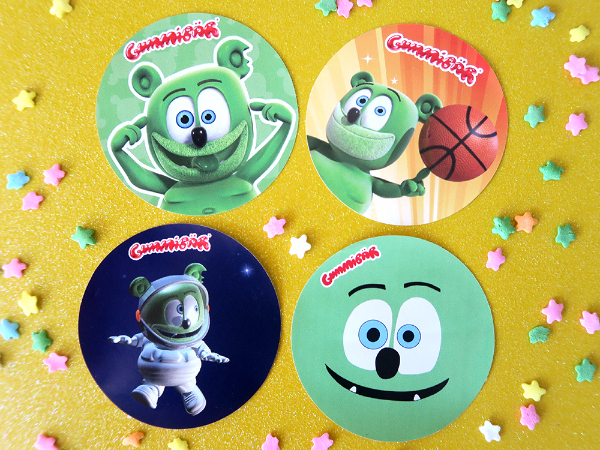 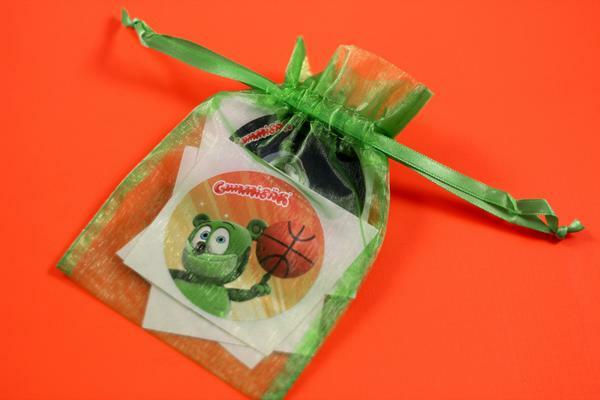 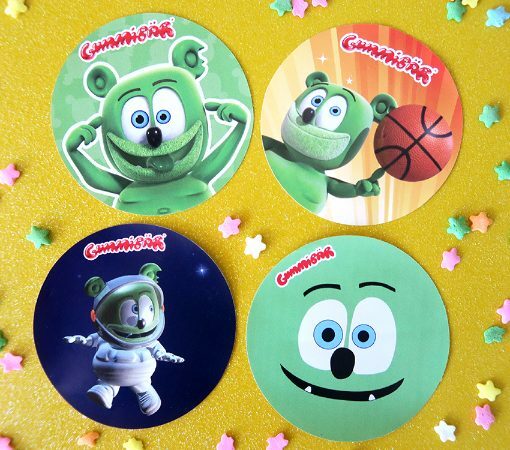 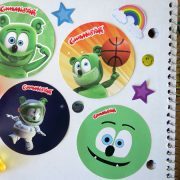 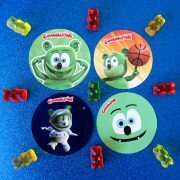 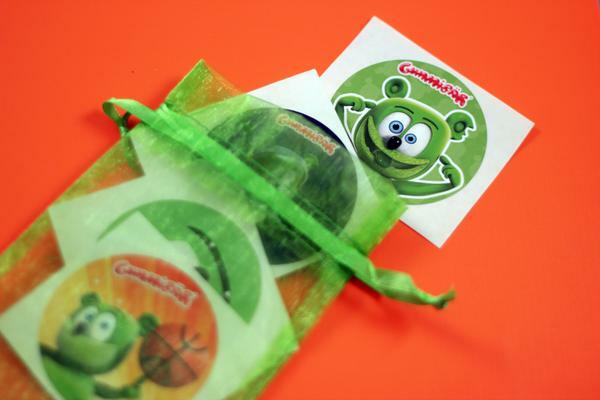 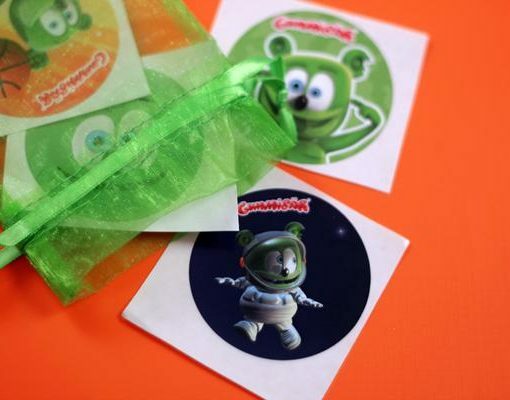 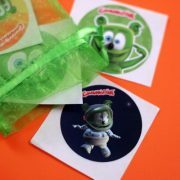 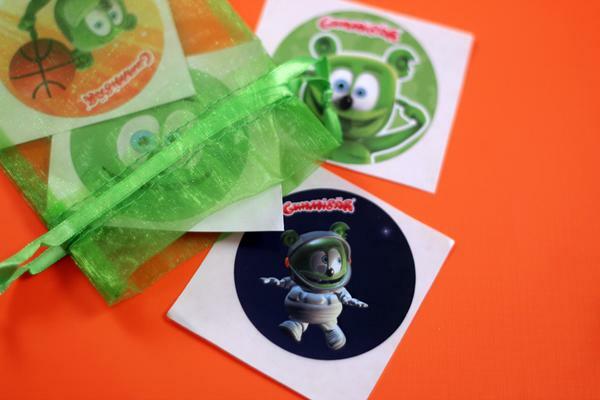 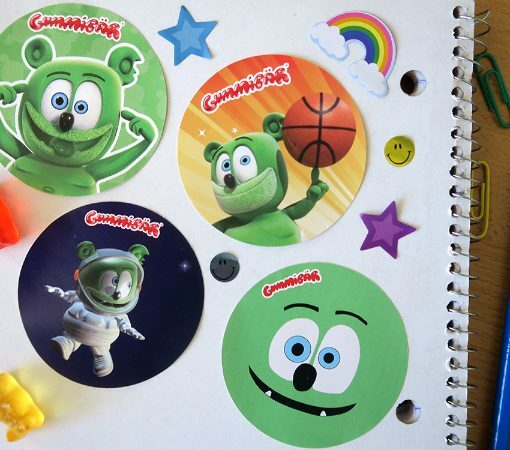 The Gummibär sticker set includes the basketball sticker, astronaut sticker, crazy sticker, and flat face sticker That’s a grand total of 4 stickers! 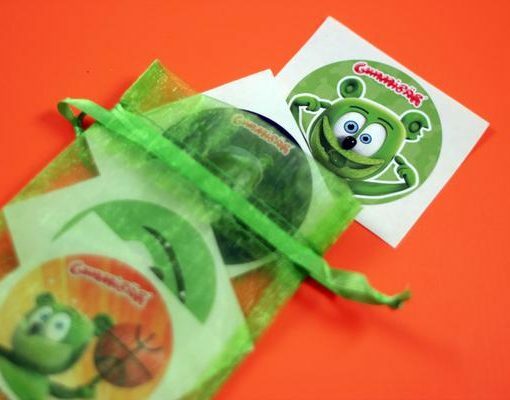 The sticker sets are for perfect stocking stuffers and party favors!